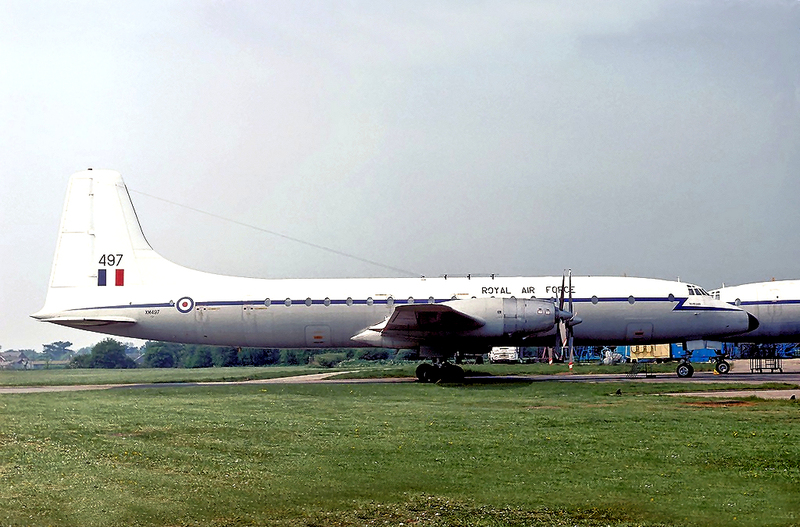 Built to contract 15527, this aircraft was delivered to RAF Transport Command on 02 December 1960 at the Britannia pool at RAF Lyneham and operated jointly by 99 and 511 Squadrons. Serialled XM497 she was named ‘Schedar’. The last Britannia to be built at Belfast, XM497 was also the last Britannia built, excluding the Canadian derivatives. Once withdrawn from RAF service, XM497 was flown to RAF Kemble on 09 December 1975 for storage following a flying career of 18 178 hours and 7215 landings. 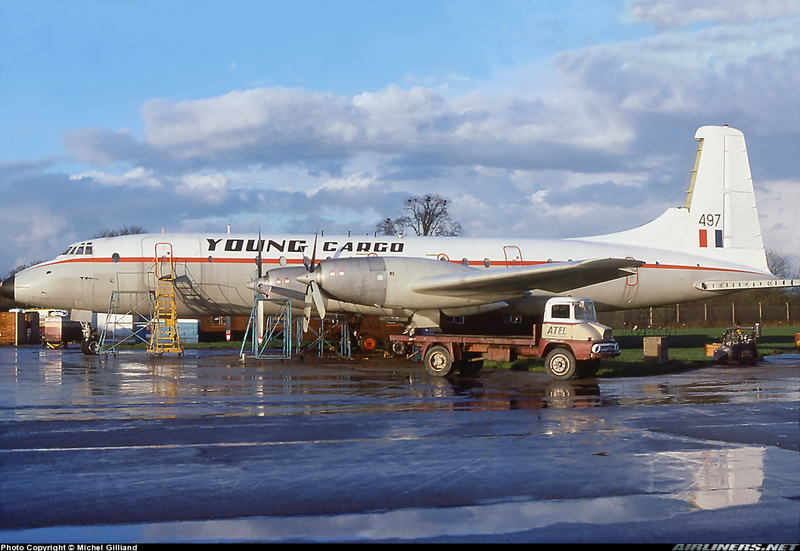 Purchased by Young Air Cargo on 23 April 1976 and registered OO-YCF on 05 May 1976. She was transferred to Stansted Airport, Essex on 07 May 1977. Following the removal of the RAF insignia, the titles Young Cargo were applied above the cabin windows and the cheatline was repainted red, minus the flash by the nose section but the tail fin still displayed the number 497 and RAF fin insignia. Stored at Stansted, ‘497’, (OO-YCF was not applied) was used for spares and broken up in July 1977. The remains were used by the Airport Fire Brigade at the BAA Fire School, until totally burnt out in May 1981.